Increase Self-Esteem: What's the Worst That Can Happen? 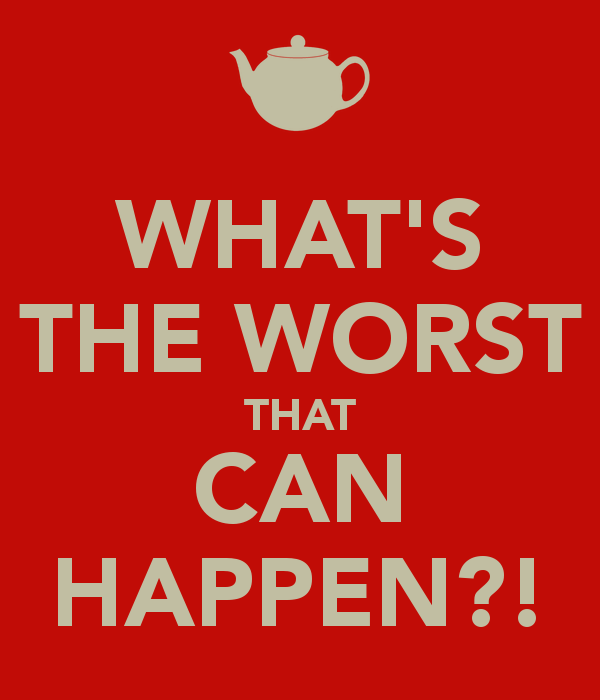 Ask yourself: "What's The Worst That Can Happen? Sit down and really put some thought into this. Imagine everything and anything that could possibly go wrong. Use your imagination and go all out. It may seem counterproductive at first, but there's method to the madness. When you lay it all out, you force yourself to face the worst possible outcome. One important reason why this simple little mental exercise is important is that it makes you realize that the worst outcome isn't all that bad and something you can live with. Just as important is that you discover that this "horrible" outcome isn't terribly likely. 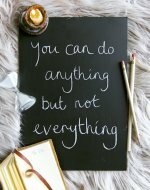 While you're mulling things over, chances are that you remember all the things you have to gain from taking action. Even if everything doesn't go perfect, chances are that you'll get something out of taking the risk to do something. This realization alone will give you a boost of confidence, or at least the energy and desire to do something. On a psychological level, there's nothing we fear more than the unknown. This is why this strategy works so well. By thinking about and imagining the worst possible outcome we take away the element of the unknown. When that happens things suddenly don't look nearly as bad anymore. We know what we're facing. We know what it will take to overcome the obstacle or dig ourselves back out of the hole. We can start to come up with an action plan for recovery. We do this all the time when something bad or unexpected happens. Why not tap into the same idea to gain the courage to "try it anyway?" Imagine if this happened to someone else. Would you think it was a big deal? That's your increase self-esteem hack for today. Whenever you try to talk yourself out of doing something because of an undefined fear, or when you're simply reluctant to do something, take some action or try something new, ask yourself "What's the worst that could happen." Then make your peace with that worst case outcome and go do it anyway. You'll be pleasantly surprised to find how well this works. Ready to increase self-esteem in a jiffy? Try my FREE CONFIDENCE BOOSTER HYPNOSIS SESSION!